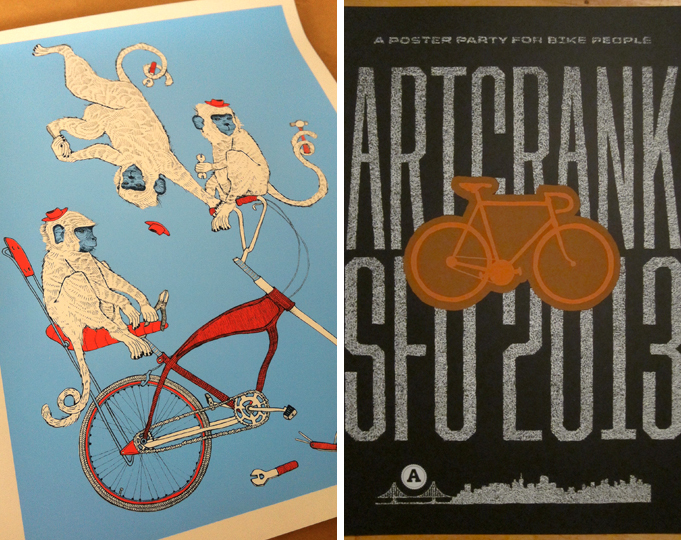 I was fortunate to be asked to participate in the SF ARTCRANK show for the third consecutive year this passed December along with my dear friends, San Francisco based artists Katrina McHugh and John Baunach. Although I was unable to attend the show due to a conflict with Art Basel, the SF contingent represented big time and I heard that a good evening was had by all despite the rain. 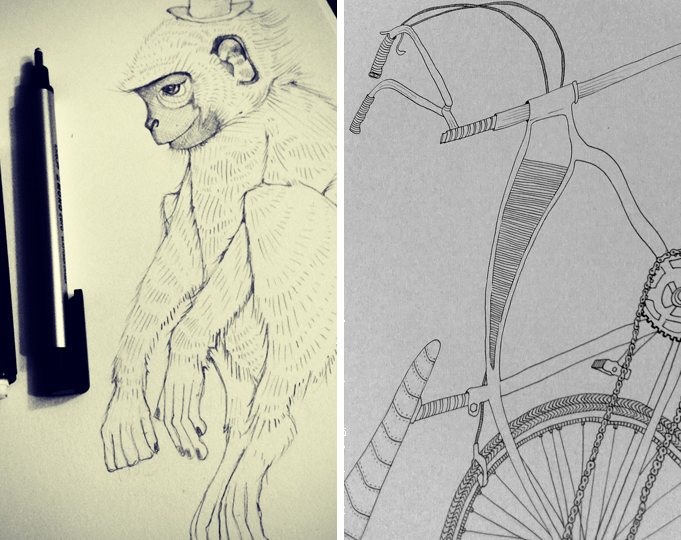 This year's poster Monkey Wrench was a continuation of the fantastical theme of personified animals on bikes that I started back in 2011 with Night Rider, followed by Frog in the Fog in 2012. 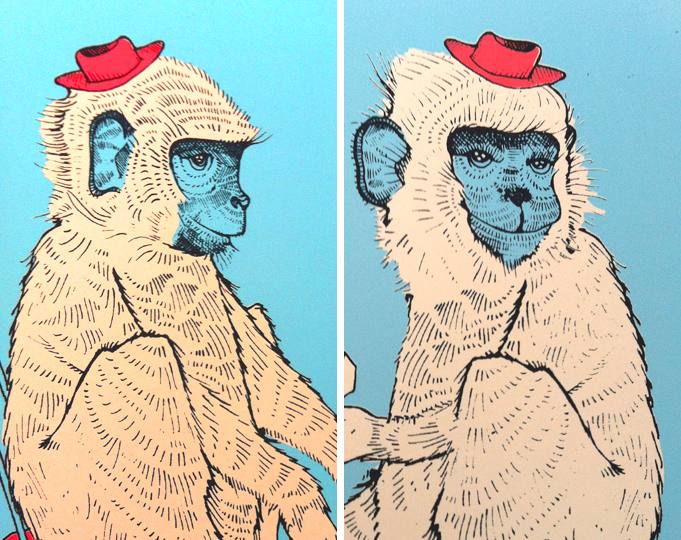 Monkey see monkey do...where there was one, now there are two!